Orchid Care Outdoors . . .
Summer is the active growing season for most orchids, especially if they're outdoors. That means adjusting your plant care. Plants that where sitting dormant all winter usually spring to life outdoors. As their metabolism changes, they will drink more water and are hungry for nutrients. Here are several tips for orchids care outdoors. Outdoor light is much stronger and more intense outdoors than it is indoors. Midday sun can be 10 times stronger than sun that shines through a window. For the first couple of weeks outside, protect all your plants by keeping them in total shade - even "high light" orchids. In a couple of weeks, after they acclimate to being outside, you can start moving the high light plants (Cattleya, Dendrobium, Cymbidiums, etc.) into more sun. A couple hours of early morning or late afternoon sun is ideal. Dappled sunlight throughout the day also works. Always avoid direct midday sun - even high light plants will burn. As your plants transition to outdoor growers, they'll drink copious amounts of water compared to indoors - sometimes 2-3 times more! Be prepared to change your watering schedule. Follow our guidelines for setting up your orchids for "outside growing" and you'll never have to guess worry about watering again. The good news is you'll never have to guess about watering with hydroponics because a water gauge tells you when and how much to water. Water to the "opt" marking on the gauge (that's 1/2 way up). Over watering shoud not be a problem because excess water will overflow the resevoir and drain away. See Setting Up your Plants for Outdoor Growing for more on this. Wait for the gauge to read "min" before rewatering. Because air moves freely through the pebbles outdoors, no dry period is necessary. Always allow enough time for the gauge to go down before rewatering though. Most plants will use up all their water in a week - in hot weather sometimes in a couple of days. On the other hand, if a rainy period has your orchids standing in water for extended periods of time (a week or more), force a "dry period". Lift the plant (and culture pot) from the outer pot and dump out all the water in the saucer. If you're using grower trays, remove plants from the tray and pour out all the water. Don't rewater for a couple of days to force a dry period. Those roots need air! Temperatures: Another advantage to outdoor growing is the warm (even hot) summer days and cool nights. Orchids welcome hot days and chilly nights. Most orchids enjoy temperatures into the 90's during the day and as low as 50-55 degrees at night. Don't worry about your plants suffering in hot weather. As long as they're protected from direct, hot sun and have good air circulation they'll be fine. Mother nature designed orchids to handle the heat by using the air that moves over their leaves to keep cool. If your plants are getting a breeze, high temperatures won't be a problem. A gentle shower from the garden hose always helps too. Your plants are actively growing and they're hungry! Apply nutrients at full strength every watering. I use and recommend Dyna-Gro "Grow 7-9-5", 1/2 tsp. per gallon. 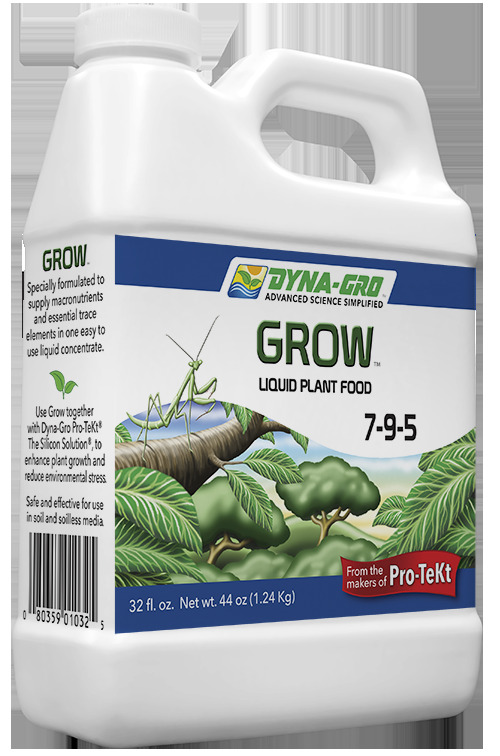 Dyna-Gro "Grow 7-9-5" has everything your plants need for healthy growth. When you see a new lower spike forming you can switch your nutrients to a "bloom" formula to increase the size and color of the blooms. 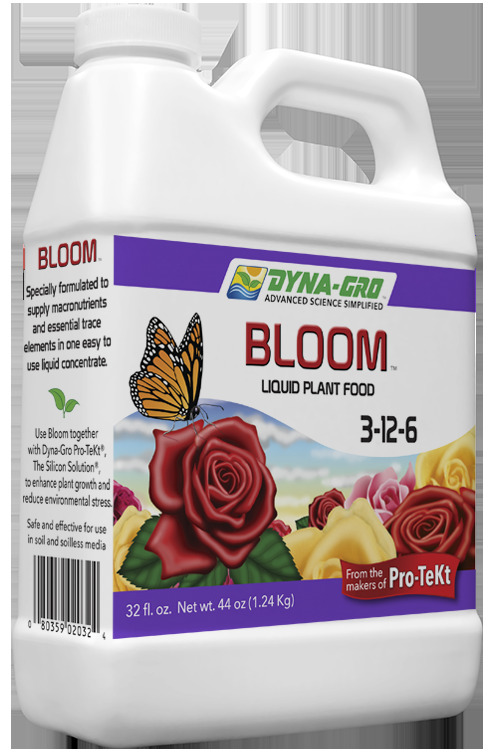 I use Dyna-Gro Bloom 3-12-6 while my plants in bloom. Want to increase your plant's resistance to heat, drought, and insects while outdoors? Include a dose of "Pro-Tekt" with your nutrient solution (1/2 tsp per gallon). Pro-Tekt adds silicon and potassium - which build stronger cell walls. Stronger cell walls increase the plant's ressitance to heat and drought. It also creates a natural barrier for insects and disease. 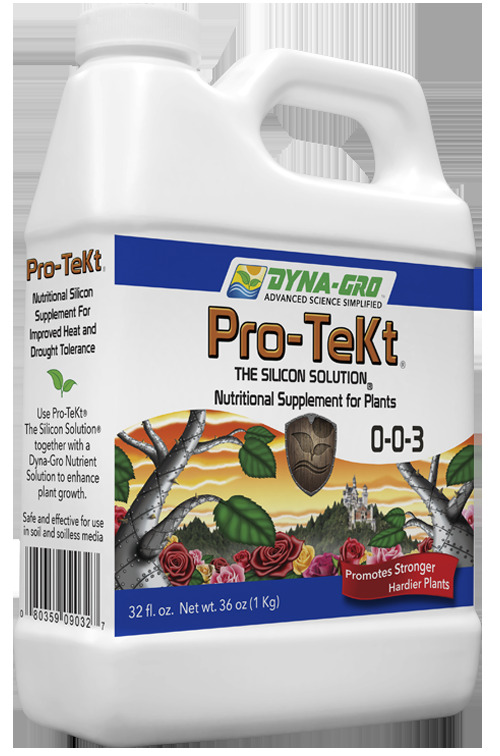 Pro-Tekt 0-0-3 helps build stronger plants for outdoor growing. Stronger plants tolerate heat and uneven watering better.